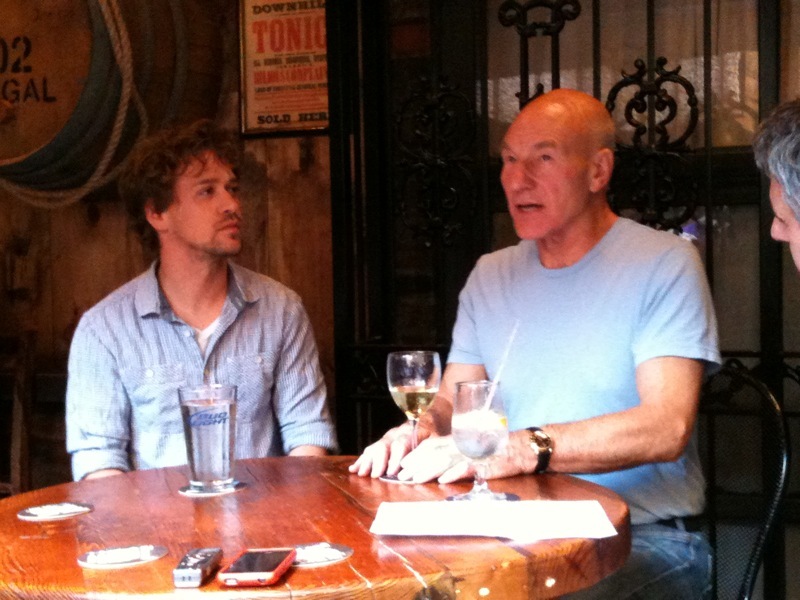 In early September after a full day of rehearsal, Patrick Stewart, T.R. Knight, and director Neil Pepe met with journalists at a midtown pub to discuss their upcoming show, A Life in the Theatre. Written by David Mamet in 1977, the play is making its Broadway debut (it ran off Broadway the year it was published) and focuses on the backstage life of two actors in a repertory theater company—one whose career is nearing its end and the other’s whose is just beginning. I adore Patrick Stewart. This looks like a fantastic production. I will have to check it out! Fantastic write-up of the evening!